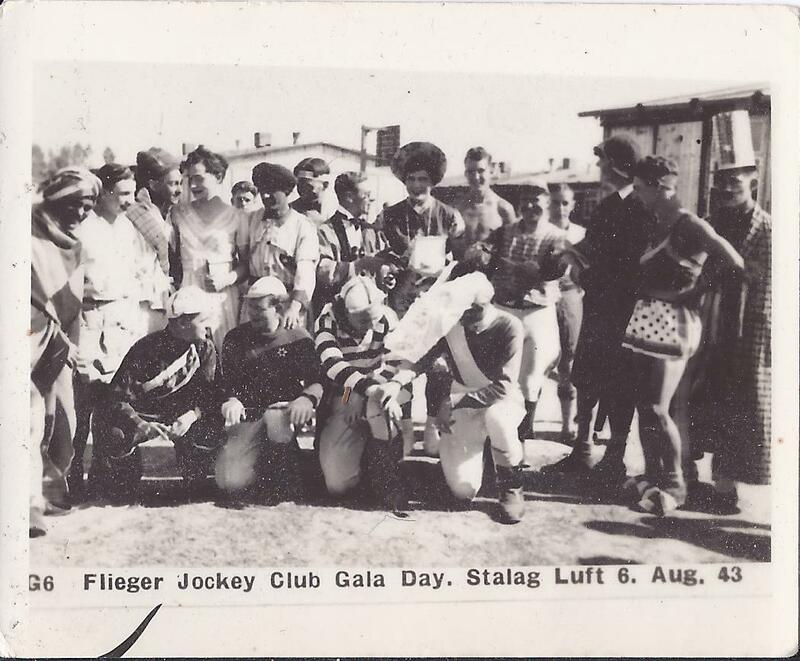 Chapter 7 – Stalag Luft VI, Heydekrug. 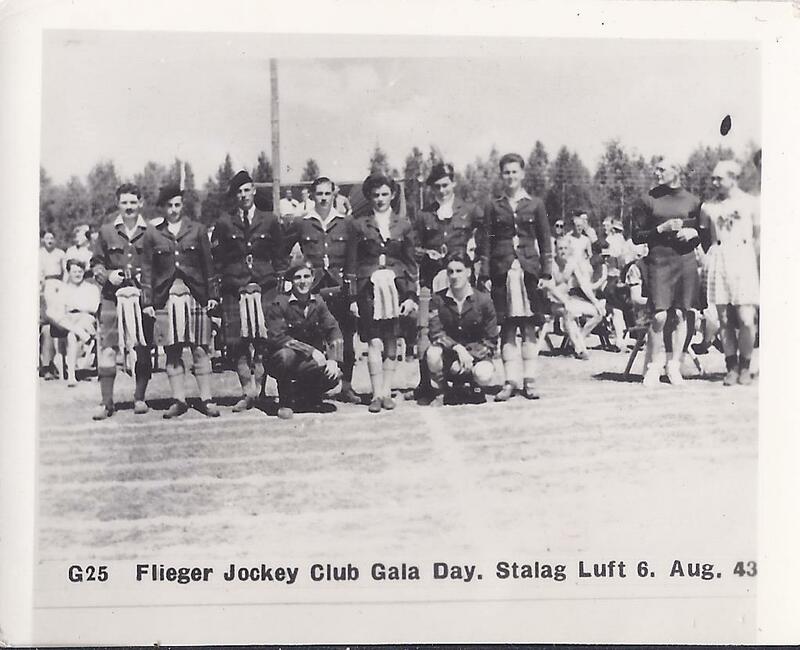 Fenton and Fuller departed from Sagan on to 18th June 1943, arriving on 20th June 1943 (ICRC records it as 14th June) at Stalag Luft VI, Heydekrug in Wehrkreis I Königsberg, in the Memel area of East Prussia [today Šilutė, Lithuania], a few kilometres from the delta of the Nomunas River. This proved to be the most Northerly and most Easterly of all the German camps. Contrary to this report, it is recorded that F/Sgt. D D P Leitch escaped from the train and was recaptured 150 kilometres away near the Baltic coast. The prisoners were lead into the camp by a new German guard, about 70 years of age, with a gaunt, brown face, with black cross eyes, who spoke good English. He became known as “Cross-eyes” or “Jiminy Cricket”. The camp was commanded by Oberst Hermann Von Norberg, assisted by Oberstleutant Aribert Bomach, later to become the head commander at Stalag luft IV, Gross Tychow. 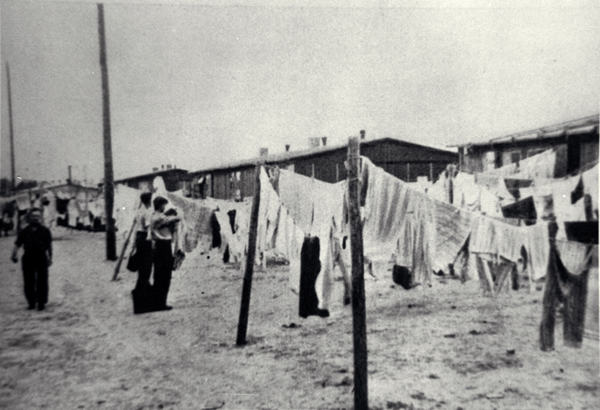 Stalag Luft VI, Heydekrug, comprised of four brick built barrack blocks, each divided into nine whitewashed rooms, together with a dozen or so wooden huts, two cook houses and two latrines. Two new compounds were also under construction next door. About 100 prisoners were already there, having come direct from Dulag Luft, and they were suddenly swamped by the influx of the Sagan N.C.O.’s, a highly organised society. The prisoners were crammed into these buildings, sleeping in three tiered bunks, with just enough space between the man above them or the ceiling. One thing was very noticeable, they had a full set of bed boards. ‘That far-flung camp on the Baltic coast, which became the first to be evacuated’. Within a day or so of arriving at Heydekrug, and not wishing to miss an early opportunity, a tunnel was started under the direction of Sergeant Gibson who had arrived with the advance party and by the time the main party arrived a total of three tunnels were under way, one of which had already been discovered by the Germans as those involved were a little to obvious with their endeavours. Again, the Germans had amassed together some of the best organised escape artists in the country, including diggers, forgers, tailors, etc. John Bristow’s radio was quickly put back into operation by day 2. 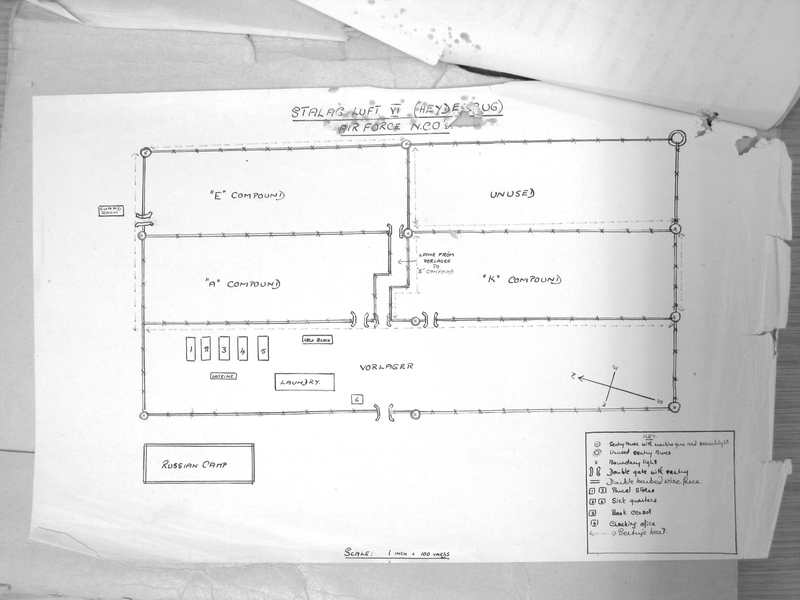 Many escape attempts were made by tunnel, one from D block was soon discovered, thought to be the German seismographs working well, and to prevent any further attempt, a ditch was dug between the main wire and the warning wire, along the whole length of the compound. The third tunnel, under the direction of Flynn, Garrioch, Fancy, Prendergrast and ‘F/Sgt.’ Ash continued. Ash was in fact an Officer but he had swapped identities with a Sergeant at Sagan and come to Heydekrug as he thought that escape would be easier from a new camp. The tunneller’s dilemma was worse than Sagan, as the soil was very similar but the water table was very high, only eight feet below the ground, and therefore collapses were frequent. The Germans also started to run a steamroller around the inside of the camp perimeter to collapse any tunnels there might be. This tunnel was one of the audacious at 145 feet long, but there were many willing helpers. The tunnel used the ablution block as its entry with the trap ‘hidden’ below one of the lavatory seats. The tunneller had to pass through the lavatory seat, balance, bent double, on a brick wall that held back the effluent on both sides and inch along until he reached the end wall and squeezed through to the tunnel entrance, which was hidden under the adjacent ablution block. The soil from the tunnel was simply added to the effluent under the toilets and was then collected by the ‘Honey Wagon’ at regular intervals. This resolved the constant problem of all tunnellers in what to do with the earth excavated, which was clearly of different colour to the soil on the surface. What this did do, however, was raise the level of the effluent to a danger point when it would start to flood into the tunnel entrance and the tunnel itself. The high water level did not help and in times of heavy rainfall, there was nothing they could do. An alternative entrance had to be constructed. In the washroom stood three hot water boilers, for washing clothes. A hole, large enough to allow a prisoner to enter was cut into one of the boilers and a trap then cut beneath to allow the tunneller to drop down into the tunnel. The boiler could still be used above and it provided an ideal way of causing a draught and drawing fresh air, from air holes, down the tunnel. This allowed the tunnellers to work day and night. The downside to this new access point was that soil disposal was not so easy. A very small hole was found that led back into the latrines and this was used, when digging stopped to pass the soil from one room to the other, to allow it to be put into the cesspit, protected by the ever vigilant Tally-Ho club. On one occasion, a German ferret, suspecting that something was going on, climbed over the wire to avoid the duty flight and headed straight for the washroom, to be intercepted and bowled over by a prisoner being chased by another. Whilst apologies were given, there was enough time to hide the evidence. With the tunnel progressing well, a snap search was instigated, which included not only the prison guards but also local soldiers and Gestapo units. Nothing was left unturned in their search of the camp, with the exception of the tunnel. The prisoners held back from their usual pranks, realising the severity of the search that was going on. They left with a lot of escape equipment which had been amassed over time but left their own briefcase, including a number of very useful documents. The Guards were sure something was in preparation and so to the astonishment of the prisoners, a steam roller was brought in and driven around the internal perimeter of the compound but to the further astonishment of the tunnellers, the roof stood up to the weight. Following these extensive searches and other methods used to find the tunnel, the prisoners started to get jittery and wanted to get out sooner rather than later, and against the advice and direction of the escape committee decided to bring forward the breakout. The lost equipment had to be replaced quickly and on the night in question, everyone had to move out to the dispatching point. Dummies were put in beds ready for a snap inspection and holes were pushed through walls so that prisoners could pass through quickly and be counted twice. The amount of activity must have been noticeable to the Germans. Nearly 50 men were to make this escape attempt and they were packed into the tunnel with their escape kits. They had little room to wait whilst the tunnel reached the surface. There was no wind and it was a clear night so certainly not ideal for the breakout. As the tunnel broke the surface, a gush of fresh air greeted the prisoners but they were very close to the German guards post but as the ninth tunneller left the exit opening, he was spotted and warning shots were fired as he ran into the woods, catching the remaining 41 prisoners in the tunnel. The Germans started firing down the hole but no one was hit. The guards went to the camp and intercepted the prisoners and escorted them to the cooler as they emerged. They did not know where the tunnel came out in the compound so sent a ferret down to see where he came out. He did not get very far and emerged from the same end, shacking and frightened, they then sent a Russian prisoner down who simply stayed down there so the ferret was sent down again. It was then decided to give in and show the Guards where the tunnel entrance was, removing the boiler and helping first the ferret and then the Russian out of the tunnel. Nine escapers had in fact got out, unknown to the German guards, but well known to the prisoners. The Germans carried out a search of the compound and found the correct number of dummies, as per those captured men in the tunnel. The prisoners had, however, removed nine dummies and nine men were counted twice by the Guards. The following morning roll call confirmed the nights count but one of the escapers was captured nearby that day. Immediately another roll-call was organised, but again the prisoners knew, and covered up for 6 escapees. The Germans left satisfied until the same thing happened again the next day, and the next. The prisoners were then confined to barracks but a sheep count then followed, where the prisoners were massed in the parade ground and made to pass in single file between two counters, set up beside ladders laid on the ground, but again the prisoners conspired to pass back into the compound and join the uncounted prisoners and the Germans counted twice as many prisoners as there were in the camp. The prisoners could hear the would be escapees cheering and singing from the cooler and joined in but it was starting to get nasty. Many further counts followed, including matching each prisoner to their beds but with prisoners moving around and dummies in some beds, more prisoners than the camp held were produced. They even brought in the full contents of the identity cards to match prisoner to card, but once their backs were turned many of the cards disappeared, never to be seen again, with the exception of the photographs which were kept for future use. It took many weeks for copies to be gained from headquarters. Eventually the Germans gave up towards midnight. It took ten days to capture the last prisoner and even after all the escapees were captured, the counts continued with similar results. The following day produced further counts with similar results to the continued despair of the Germans. The Tally-Ho club had achieved a victory and well deserved acclaim and respect. 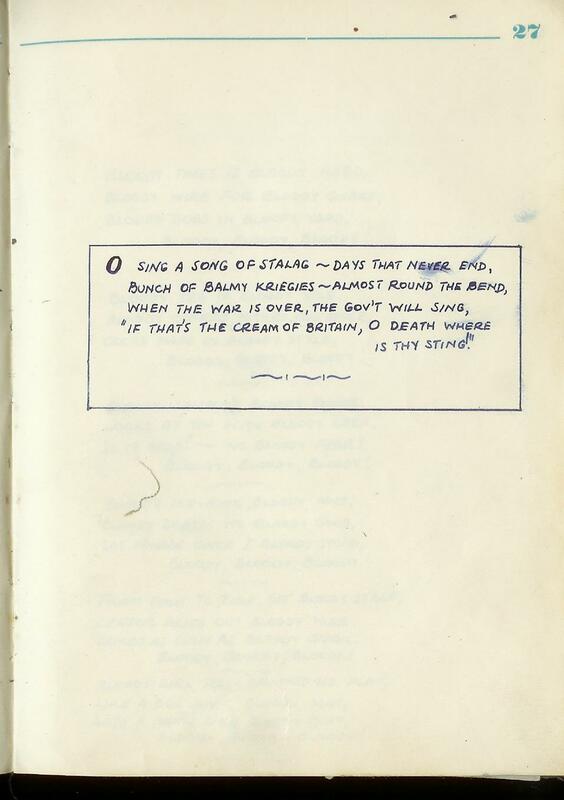 The counting went well into the second night, with songs ringing out such as ‘Bless ‘em all’ and ‘I don’t want to be an airman’ from both the RAf and American camps. Without reaching any firm conclusions, the prisoners were returned to their barracks. A third day followed with the guards taking pictures of the prisoners to replace the lost identity cards but with the prisoners not only giving false names and numbers but also with a prisoner sticking tape undetected over the lens. Some of the prisoners had made it to the Baltic coast of Lithuania and were waiting in a boat they had found to take them to Sweden when they were captured. 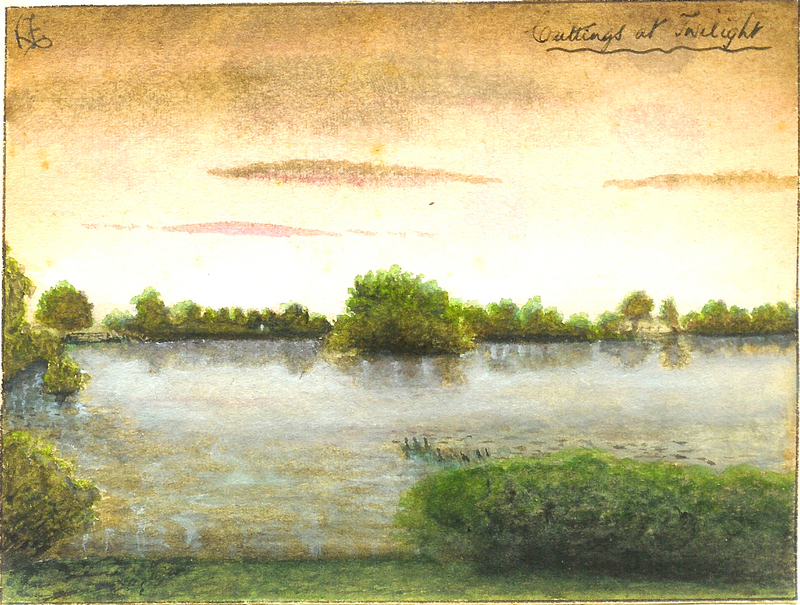 Another reached as far as Tilsit before being captured by the river police. Bartering for information and escape material was an important part of the Tally-Ho clubs arsenal but it was being undermined at times by other prisoners bartering for their own needs. This had to be controlled and that was achieved by the strict control and intelligence of the escape committee. This ensured that the scarce goods, such as chocolate, cigarettes, etc. where kept from the Germans to be bartered for uniforms, passes, badges and other vital escape equipment. The privateers were brought to heel by Dixie Deans and his team. An allowable swap shop was called ‘Foodacco’ and was run by Gerry Tipping and Ron West, where clothing or food could be swapped based on the price in cigarettes. Any profits were passed back to the escape committee to use to obtain anything they needed. Once the American’s were ensconced in the newly built compound next door, it was agreed that the warning wire could be removed, allowing the RAF prisoners to talk to their American colleagues. The ditch then started to flow with water and mysteriously a few very small fish appeared. Anglers appeared from the ranks of the prisoners, who employed bent pins on lengths of cotton to try to catch these tiny fish. They resented the model boat group but they were just about tolerated until john Bristow turned up with his hand built steamboat. Launched originally in the fire pool at Sagan, it was a fantastic piece of craftsmanship, but there was a weakness in the boilers, resulting in it blowing up and killing many of the fish in the area. Frogs were also caught in this area, which enabled the prisoners to supplement their diet with frogs legs. At Sagan, the combines looked after each other, whereas at Heydekrug, the food parcels went to the two cook houses where they were combined to produce the food for the prisoners. This helped the diet of the prisoners but also stopped being eating as was the norm. on receipt of new parcel supplies. It also helped reduce the number of cases of food poisoning. 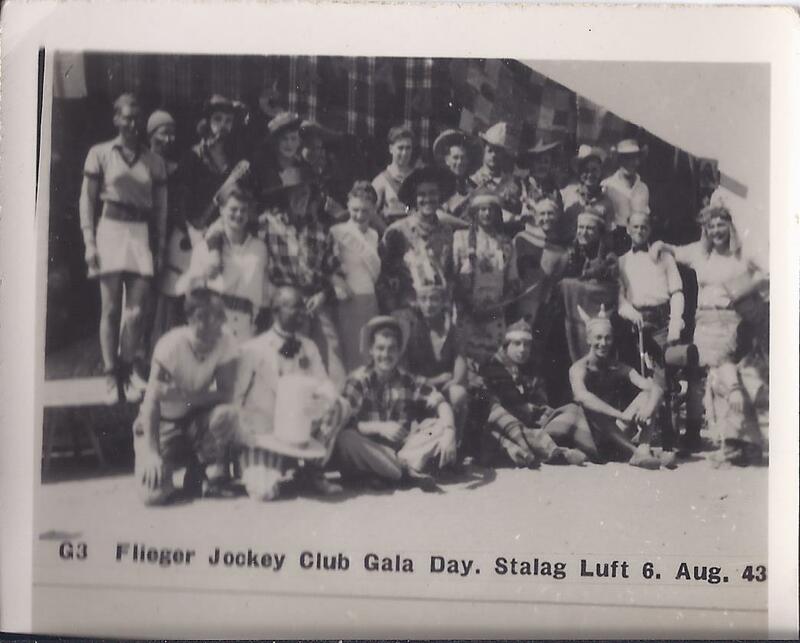 Stalag Luft 6 held a good number of Yorkshire men, including Dixie Deans (a Scotsman living in Yorkshire) himself and these in-mates formed their own White Rose Club. Members there penned stories from the camp which were smuggled back to Britain where many were complied and printed by the Yorkshire Post under the name ‘Kregie’ (prisoner) edition. 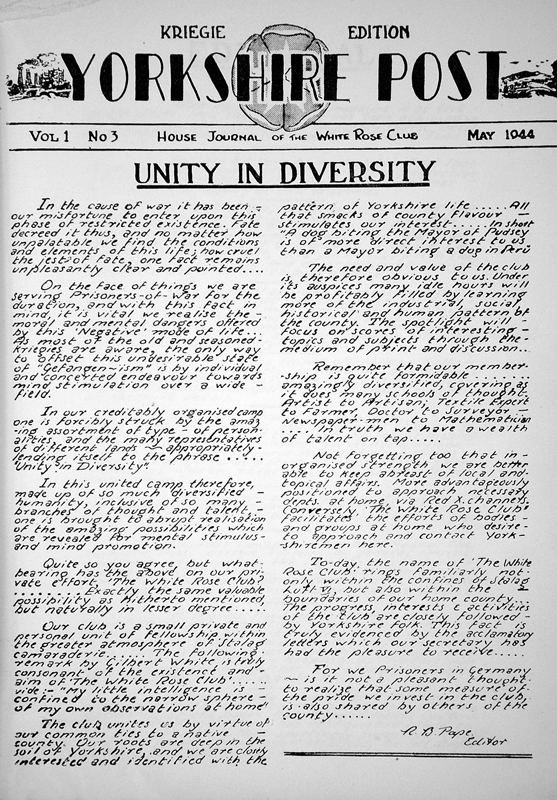 After the war a special edition entitled “Yorkshire Post Kreigie Edition” was produced by one of the POW’s, Richard Pape. 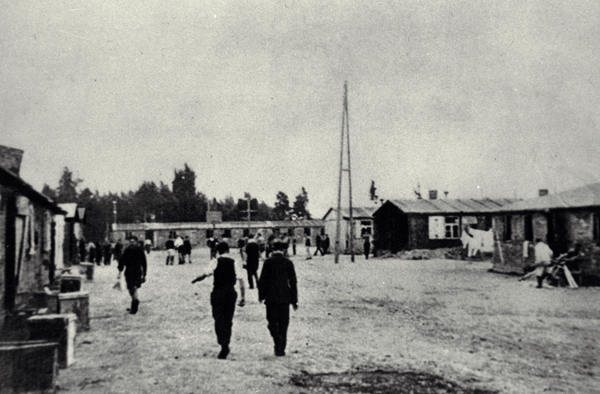 Cricket was played regularly by the prisoners between different Countries or Counties and World class players were prisoners here at Stalag Luft VI. The Australian captain, Johnny Shierlaw was just such a player, who was to tragically loose his life in the last few days of the war. Men who spent time in the camp recall the bitter cold Winter of 1943-44, when the snow reached a height of six feet. The Prisoners again made an ice rink like they had at Sagan, polished to a very flat surface, it provided exercise for many. One poor sole, ventured close to the warning wire which resulted in the guard in the watch tower loosing off a few rounds at him. The prisoner ran away but found himself on his backside on the ice rink amongst all the other skaters. The guard continued to fire at him causing many skaters to unbalance and land flat on the ice. When the firing stopped, the prisoners picked themselves up and examined each other for wounds. None were found except for bullet holes through their clothing. They returned to their skating. The Great Escape occurred in March 1944, which is one story that my Father did tell me about, particularly about the moment he heard about the ‘The Great escape’ whilst watching the movie with me as a boy. He was not a fan but he knew the characters involved. The first half depicting life in the camp, the veterans say, is authentic: the machine gunning of a man who snaps and tries to scale the fence reflects the death of Jimmy Kiddel. On assembly, the camp was jittery because an escape had been foiled, and as they paraded at dusk the first thing the prisoner’s saw was the show of strength. Steel-helmeted reinforcements had been brought in to bolster the regular guards. They formed a circle around the prisoners and dropped to their knees, machine-guns pointed menacingly from every direction. The prisoners could not believe what they were seeing. They thought they were about to be mown down and there was a marked absence of tomfoolery as the count was taken, and an eerie silence as the guards tallied the figures. The Adjutant, Major Heinrich, stalked solemnly to the centre of the parade ground. Behind him the camp interpreter marched, with knees thrust high, and halted and turned with clashing heels. Then came ‘Dixie’ Deans, marching formally, but out of step with the Germans, deliberately dissociating himself from them. From his attitude we knew that the Germans had done something unpleasant and were trying to cover it with this ceremony of self-justification and the reinforcement of guards in case we were not deceived. Heinrich read from a document in slow, sombre German. Then the interpreter read the English translation. 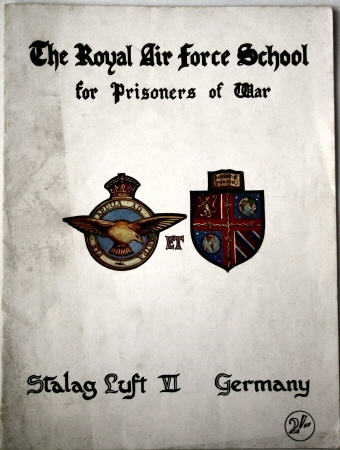 There were sharp intakes of breath as the news sank in of a mass escape at Stalag Luft III. Seventy-six prisoners had escaped. Fifty had been shot dead ‘while resisting arrest, or attempting a further escape after being recaptured’. In the stunned silence, a voice from the ranks asked, ‘and how many were wounded?’ Heinrich shrugged his shoulders. Every man knew what this meant. They had been murdered. Fifty of them. A few boos broke out, and then there was an instinctive surge forward by the ranks, followed by a roar of almost uncontrollable anger. The ring of guards levelled their machine-guns….and then Dixie Deans voice rang out. ‘Stand fast!’ he roared. For just one second, the situation teetered on the edge of a bloody massacre. Then discipline asserted itself. The ranks stiffened. The danger was over. Deans dismissed the parade, ordering every man to go straight to his hut ‘and wait there for a time. You are to take no action of any kind.’ The prisoners stared with hate-filled eyes at the guards, who refused to meet their gaze. The anger that followed this news swiftly changed to fear on realisation of what the Germans were capable of. Sagan was a warning. It was a sign that the prisoners could expect no quarter in the days ahead before the war was over once and for all. Michael Dennis Wiggins was aboard a 460 Squadron Lancaster, which was lost on the 20th February 1944 whilst on a raid on Leipzig with the loss of all but two of the crew and Mike recalls that he was captured between Hanover and Nienburg. He said that he escaped “when first shot down, hid up rest of night and day, walked all next night. Captured at dawn.” He then found himself in Dulag Luft on the way to Stalag Luft 6. The story of the escape’s and attempted escapes are well covered elsewhere in other volumes, but the sergeant escapers of Heydekrug became famous for their daring and selfless devotion to duty. Remaining to ensure information was fed back rather than making for England at the first opportunity and many paid the price for this with their lives. These included fellow prisoners, prison guards and workmen alike. George Grimson’s first attempt at escape lacked the finesse of his later escapades, simply kicking a guard from behind and running away. The Talley-ho club of Heydekrug was well organised from the escapes to the bartering for information and equipment. 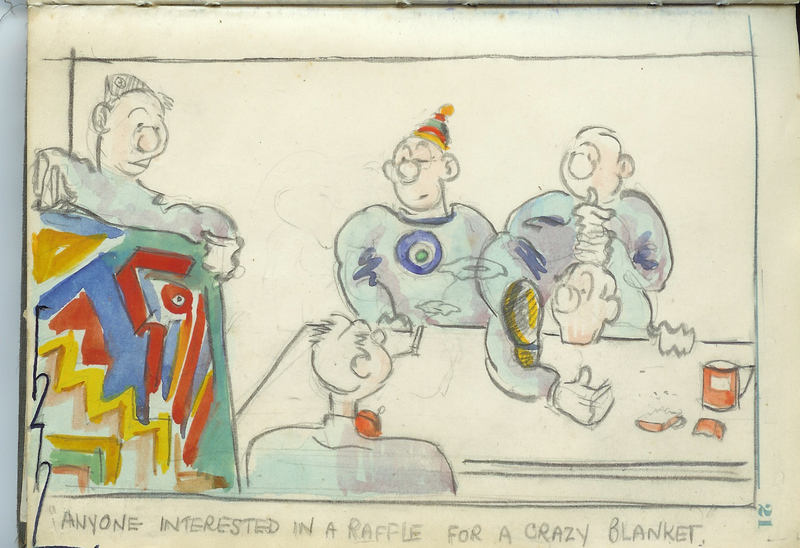 The organisation of suitable bartering material was done through the Talley-ho club, which meant that each prisoner had to hand over some of their Red cross parcels, in exchange for something, they knew nothing of. This caused resentment amongst many prisoners and the Talley-ho responded by demonstrating their success to a leader from each hut. There were no more complaints after that. Joe Walker said attempted an escape from Stalag Luft 6 but the tunnel was discovered by Germans. Sergeant John James Sparrow, flying with 15 Squadron, was captured on 18th September 1943. He stated that ‘In December 1943 a tunnel was commenced ay Heydekrug from hut K9. Work continued until February 1944 when it was discovered but no action was taken by the Germans.’ He was flown to the UK on 27th April 1945. Arthur Sharples said in his liberation questionnaire that he attempted an escape by tunnel at Heydekrug Sept. 1943. He was also a member of the escape organisation and worked as instructed. 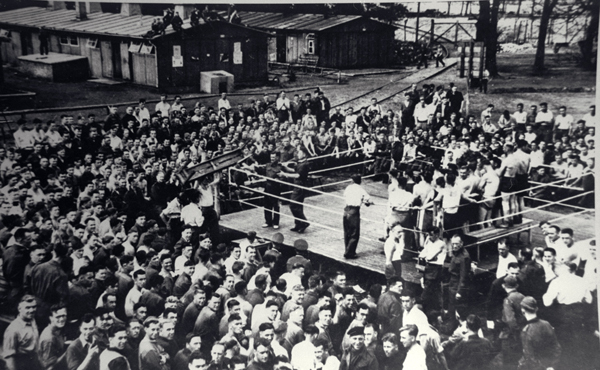 Walter Kershaw also revealed that despite earlier attempts at escape, at later camps escape was very well organised and his part was confined to scrounging equipment. As the German’s had said, escaping was no longer a sport. Two prisoners crawling under cover of darkness towards the wire were caught by the search light. They stood up and raised their hands, covered by the machine gunner in the watch tower. One of the guards walked up to the two prisoners and shot one of them at point blank range, leaving the other to return to his hut. The wounded prisoner, an American, died immediately. This was another grim reminder of the position the prisoners now found themselves. Another American was shot having left his hut a few minutes before the end of curfew at 6.00AM in broad daylight, even though the doors had been opened by the guards. There was no rush to get him to the hospital and he soon died. The German court of enquiry found that he had been shot whilst trying to escape. The death of prisoners at Heydekrug did not receive much reverence as had been witnessed elsewhere and the Germans kept a re-usable coffin for these occasions. It was very large, extending over the hole and was collapsible with a hinged floor. During the committal, bolts would be withdrawn, allowing the body to fall out of the coffin into the hole with a dull and final thud. The coffin would then be collapsed, cleaned and returned to the store room for the next funeral. Quietly and during the curfew hours, flowers would appear on these graves, placed there by local Polish women to mark the passing of another brave soul. They did this at great personal danger to themselves, an act that would touch many a prisoner. This was the final way out for some prisoners and the coffin was destined to follow the prisoners from Heydekrug to Thorn and Fallingbostal. Peter Thomas did try to ‘steal’ it during the very hard winter of 1944 for fire wood. 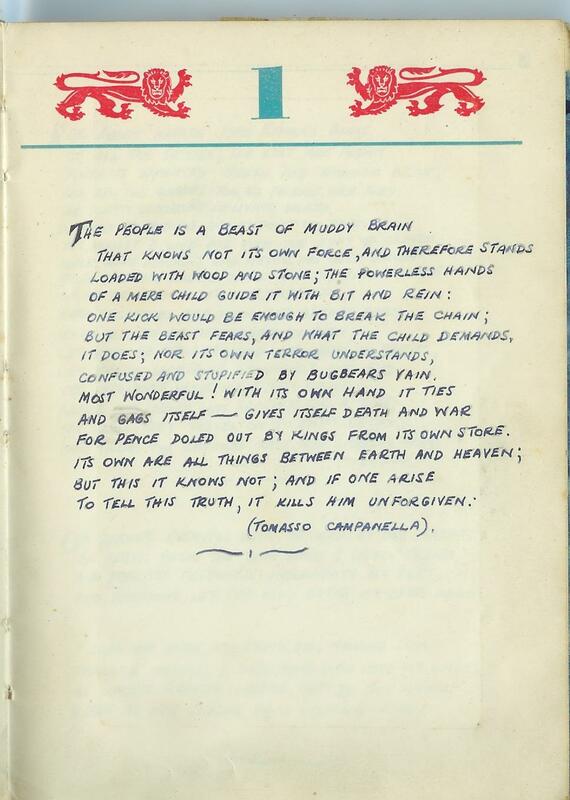 As translated from Tomasso Campanella poem, “The People”. Campanella spent twenty-seven years imprisoned in Naples, during his detention, he wrote his most important works. D-Day – 6th June 1944, Allied forces landed at Normandy, 900 miles from Stalag Luft VI. Sergeant Jimmy “Dixie” Deans heard the long-expected good news transmitted from a thousand miles away and, for all his excitement, realized he now had a serious problem on his hands. Problems, though, were his strength. He was just thirty years old, but everyone-prisoner of war and German guard alike-acknowledged his as the wisest of heads on young shoulders. Though there were older and more senior men to choose from, the 3,000 British airmen imprisoned in this wasteland on the northeastern border of Hitler’s Germany had not hesitated to elect him their camp leader-the person who would represent their interests to the Germans. Minutes before, John Bristow, one of Dean’s most trusted men, had hummed along to the last strains of Vera Lynn singing “I Don’t Want to Set the World on Fire,” then taken the record off the windup gramophone to get at the secret radio hidden inside-known in camp slang as “the canary.” Outside, from beyond Stalag Luft VI’s barbed-wire perimeter fence, a chilly wind, surprising for early summer, was blowing in, kicking up swirls of dust and sand on the parade ground, so that the men posted at the door to keep an eye out for patrolling German guards had to wrap themselves up to stay warm. The radio, built by Bristow from spare parts that had been stolen or smuggled in, was the prisoners’ most precious secret. Twice in eight months it had come within a whisker of being discovered when the “ferrets”-security officers whose job it was to foil escapes-searched Dean’s hut. Once when the Gestapo searched the room Dixie had the machine playing; the Gestapo switched it off, examined the record and then put it on again. On another occasion, without warning a German Officer entered the hut when the radio was being operated. Deans and Doc. Pollock managed to get a record playing but to hid their rapid movements, they continued to dance together. But it survived-for this moment in history. It was Tuesday June 6, 1944, and British, American, and Canadian forces had been battling since dawn for a beachhead on the coast of France. On the other headset, Ron Mogg – a journalist in civilian life-began taking down the details in shorthand, but his hands were shaking so much with excitement that he had to pass the job over to someone else. The news was wonderful. Even Deans, not known for displays of emotion, was ecstatic. The guards at the prisoner-of-war camp, close to the border with the Soviet Union, had been bragging for weeks that the coming invasion in the west would never succeed. The Atlantic Wall built by the Germans was impregnable, they told their prisoners. Don’t get your hopes up. The invaders would be thrown back into the sea. The Thousand Year Reich still had many centuries to run. The news direct from London told a different story. The first giant step toward the liberation of Europe-and, ultimately, of the men under Dean’s command-had been taken. There was a real chance that the war would be over by Christmas-that, God willing, they would be home for Christmas. The bigger problem was to make sure that the joy of these young men-many of whom had, like him, been prisoners of a hard and ruthless enemy for four long years-was kept under control and not allowed to explode into a premature uprising. They had been behind barbed wire forever, or so it felt-in that debilitating state of being unfree, eternally hungry, deprived of love and comfort, and scarred by the wasted years and the humiliation of captivity. Now they would see for the first time a real possibility of defeat turning into victory. But what if demonstrations of joy led to open defiance of their captors? “Jerry-baiting”-making fun of the German guards, irritating them, pushing back at them without pushing too far-would have a new and dangerous edge as the guards became nervous or volatile or vindictive and certainly more trigger-happy than before. There had been deaths in the camp even at settled times-a prisoner shot while trying to escape; another, in a notorious instance that had enraged them all and nearly led to mutiny, gunned down for having left his hut three minutes early in the morning, before the night curfew was over. Who could tell what tragedies were possible in the unsettled months ahead? Deans knew it would be up to him to guide his men home, to get them through the war’s GštterdŠmmerung finale. After D-Day, an order was received from London, encoded in letters and in ‘personal radio messages on the BBC, that escape attempts were to stop. The end of the war was in sight, and escaping could only jeopardize lives unnecessarily. Soon, maps started to appear, plotting the advance of the Allies towards the prisoners release, with coloured pins and lines of wool showing the imaginary front line. The lines had to reflect what the prisoners had been told by the German’s, not what they knew from the radio. On 13th June, in the early hours, the camp theatre – which over the years had provided relief, fun and precious forgetfulness for actors and audience alike – went up in flames. Hundreds of prisoners in pyjamas ran with buckets of water to try to save it, but the wooden hut with its tarred paper roof was soon an inferno and then a ruin. Hoses were brought out but took time to come to life. Ill aimed buckets of water and then the fire hose ‘inadvertently’ occasionally hit the guards. Some said that was the best show the theatre had ever put on but the word was put round that the fire was the result of faulty electrics, but in fact the theatre had been sacrificed. The fire had been started deliberately, to conceal from the Germans the illicit removal that night of some parts of an amplifier, previously provided by the Swedish Y.M.C.A. These were cannibalized to turn the POW’s radio receiver into a transmitter, which, in an emergency, could be used to send out an SOS. Bob Martin had performed here, described as ‘versatile’, together with Stan Parris’s band. 4th July 1944, the American’s put out the flags, despite an epidemic of fleas, and there were baseball and boxing bouts. Raisins, prunes and sugar were taken from the Red Cross parcels and brewed into alcohol, called ‘Kickapoo joy juice.’ The British illicit liquor had been stored under the floorboards to be brought out to celebrate the news of the invasion, but the Germans had found it and, after sampling, confiscated the lot. The British therefore had to endure the sound of the drunk American’s enjoying their celebrations. Not long after this, no one could miss the sound of the distant rumble of heavy artillery as The Red Army’s summer offensive got under way, sweeping through Poland and closer and closer to the German border. Heydekrug and its thousands of prisoners of war were in the way. It could be good news as they may be released by the Russians. On the other hand, there was every chance that the camp itself could become a battleground. Or maybe the German’s would withdraw and massacre their prisoners before they did so to prevent them taking up arms in the ranks of the invaders against their former captors. 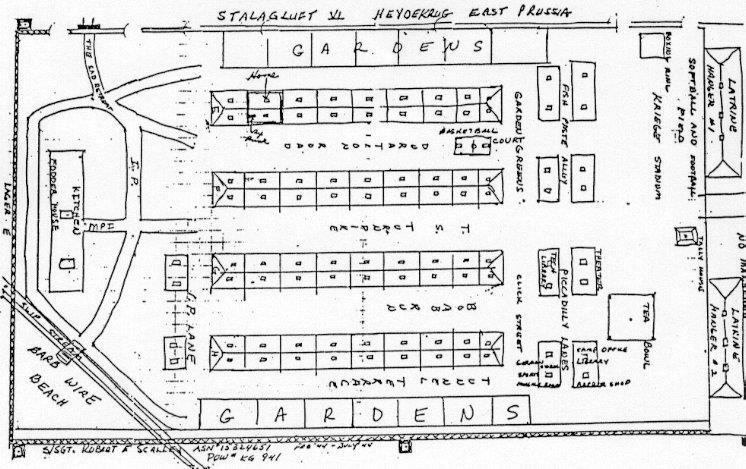 In the first 2 weeks of July 1944, rumours ran around the prisoners at Stalag Luft VI that the towns people of Heydekrug had already been evacuated, moving as fast as they could to escape the advancing Russian soldiers who’s reputation preceded them. The prisoners understood that they would be moved out to and many questions abounded the camp. Why would the German’s hang on to them, needing to be fed and watered? Were they going to be kept as hostages or would they just be shot? The prisoners put to work making rucksacks; fashioned from any material they could find, to transport their precious belongings, which they had accumulated over the years together with any food that they could carry for the journey. On 13th July 1944, the same day that the Red Army captured Vilna, with just a few hours warning the German Commandant gave the order for the camp to be evacuated. The prisoners were wrapped up in a needle cricket match between an England XI and an Australian XI on the hot July day and with only a few overs left to be played, the match was abandoned. No one knew where they were going or how long it would take and they were told to take only what they could carry. The camp stores were raided for their stocks and any spare toilet paper was used as streamers as though it was carnival time. The Americans went first, throwing any spare food or possessions over the wire into the British compound, unfortunately hitting a few prisoners whilst doing so. Cigarettes rained down breaking one of the main economic currencies of the camp. They returned a few hours later amongst rumours that the Russians were closer than everyone thought but at 3.00AM, the Americans were rounded up again and marched out again to singing, chanting and shouting to those left behind. In the British compound there was little sleep as they prepared to leave. Each hut was like a bazaar as possessions were shared out, used, eaten or smoked, making sure that nothing was left to the Germans. Even though it was a warm July, the prisoners took their Greatcoats. The Compound emptied, section by section, over the next few days leaving ruined food stuffs around, destroyed vegetable patches, only a small library of books left that an owner could not face to destroy. Ken Fenton records that he left Heyderkrug on 18th July 1944. Three prisoners hid themselves in an unfinished tunnel as the prisoners marched out, carrying all they could, in a large column of men with six guards, each with a snarling dog on a leash. Deans horse drawn cart carried his records, his typewriter and radio. As the column passed through Heydekrug with people lining the road in a very hostile manner, some threw stones. The road now became littered with Greatcoats, food and blankets as the prisoners discarded them as they had set out with more hope in their hearts than strength in their backs. As they passed a church the prisoners saw a burly Luftwaffe corporal was marrying his sweetheart, a slip of a girl who glanced up at the passing men with a sad and bewildered look on her face, a picture that would remain with the prisoners for sometime as they wondered what happened to the girl. At the railway station, still watched by the townspeople, the prisoners were herded into closed cattle trucks, sixty at a time. There was no room to sit, so they leaned against each other for hour after hour, the sun blazing down outside and the trucks getting hotter and hotter. Eventually the trucks began to move and a nightmare journey began. Men had to urinate and defecate where they stood, and not until they persuaded the guards to slide back the doors a little was there any relief from the stench. They passed a slave labour camp and saw skeletal figures being whipped by a jackbooted guard. The prisoners roared their anger and disapproval before the train picked up speed and the image was no more than a memory. The prisoners spent 36 hours on the train, frequently shunted into sidings to make way for German troop trains travelling east, or to allow hospital trains westwards. They passed through East Prussia and deep into Poland, with no idea as to where they were going, nor did the German guards.